Creative writing is peace education. A question like “What would your character feel like in the desert, looking at up at a massive pyramid” gets at a deeper question – what is it like to live in another part of the world? Suddenly, a child who has put no thought into what it would be like to be born into a different situation is considering it. 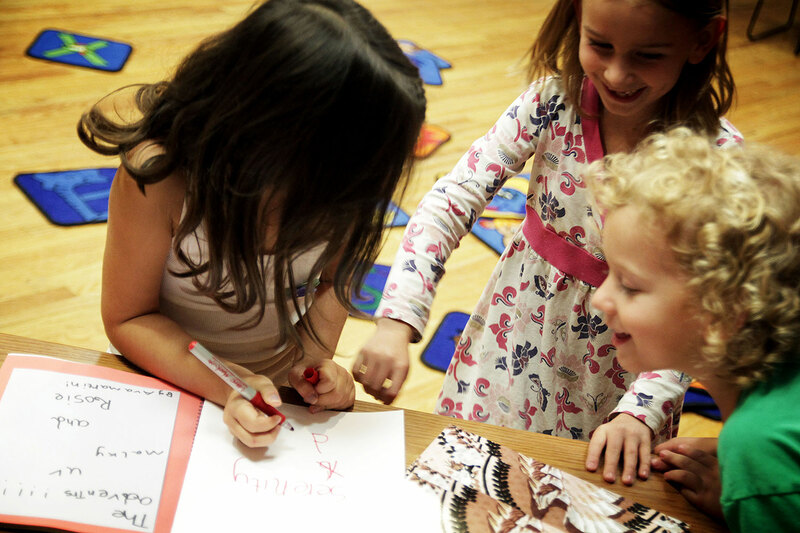 Creative writing helps children learn empathy. When done with care, creative writing is also a lesson in conflict resolution. Writing exercises should be built around traditional story structure, meaning the children must put their characters in some sort of peril. If a character’s boat tips over, then the child must imagine a way to get their characters to safety. If two characters have a disagreement, they must resolve it (or they need to explain the fallout if they don’t – playing out consequences is an equally important lesson). 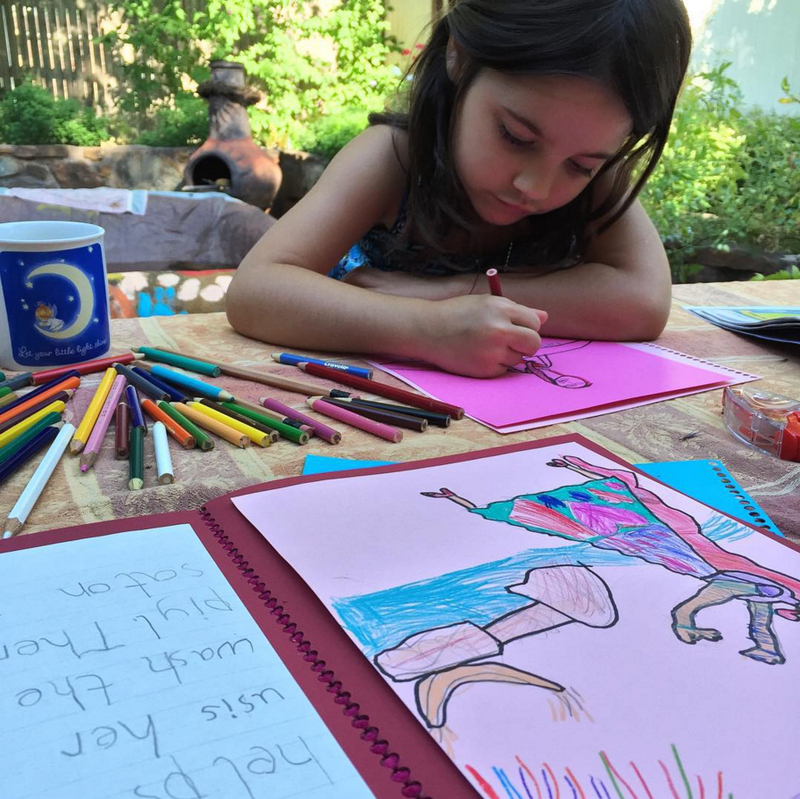 I worked with my daughter on her first book last summer and saw this learning process in action, as she took in knowledge about herself and the world at large. 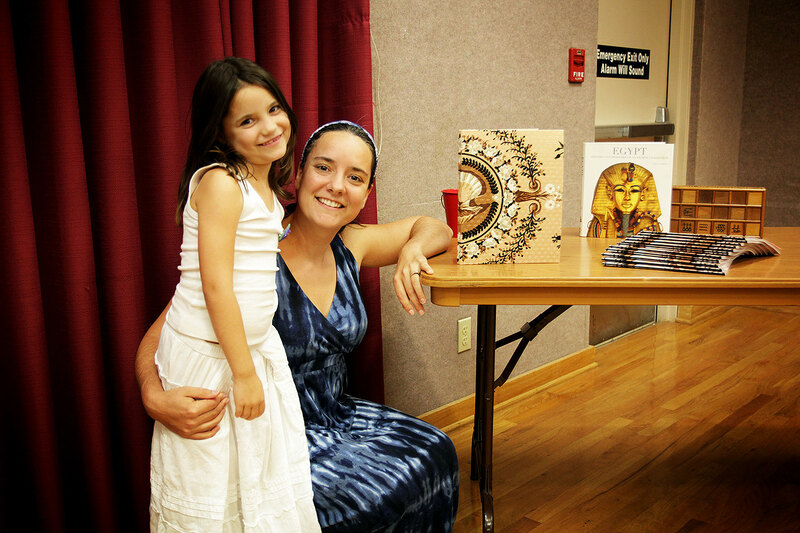 Here’s a video of her book reading, followed by an interview with me, her mama. The rest of this essay describes why she chose to write a book and how we approached the process. 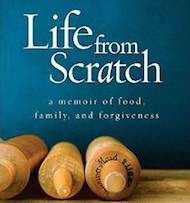 It all started at the book launch for my memoir, Life from Scratch, a few months before her birthday. There was a line of people waiting to have their books signed. 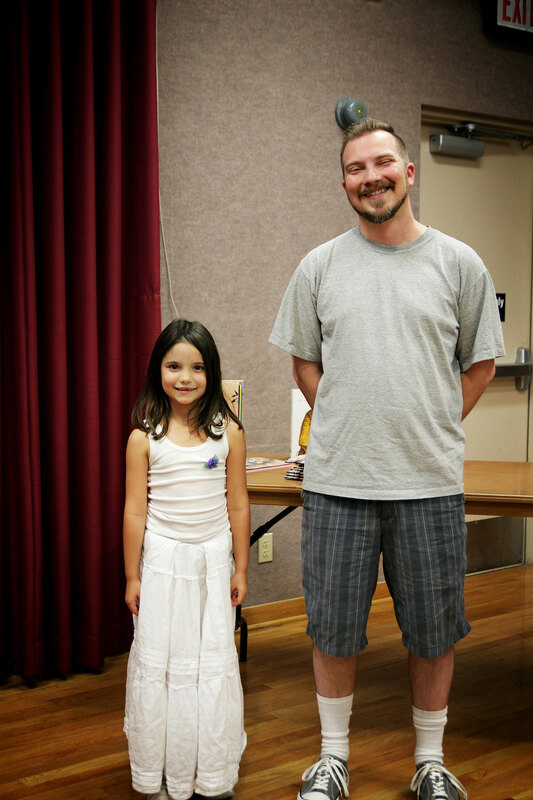 Ava scampered up to my signing table, where I had my head bent over a book, and promptly announced that she wanted to autograph the books. While I wanted to grant my five-year old (and her big brown eyes) her every whim, I couldn’t; as a rule, people want the author to sign the books. I told her if she wanted to write a book, she could have a book signing. Her eyes grew wide and she jumped a little, presumably with joy. And so, shortly after her sixth birthday, I set out on a summer quest to help my daughter harness her imagination with the written word. Because of her young age, the book writing process was a delicate balance – trying to keep it fun while helping her create her BIGGEST project yet. In the end she had more than 20 illustrations and 5 chapters. I thought it’d be fun to share what we learned in case you want to work with your child on a book. 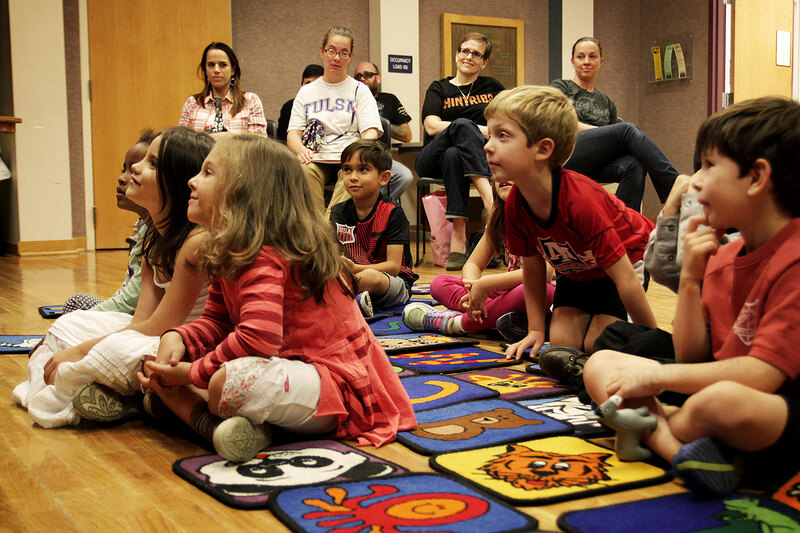 How to help very young children write a book. 1. Help them choose a subject and main characters. Their book should be something they LOVE. Ava loves everything Egypt, so this was a natural fit. Almost immediately, she decided her book would be about her cat, Malky, going on an adventure to Egypt. To help inspire her imagination, we got on all fours and “walked” around outside so we could see the world from a cat’s perspective. That’s when she saw a beetle – and so the adventure included a beetle friend named Rosie. 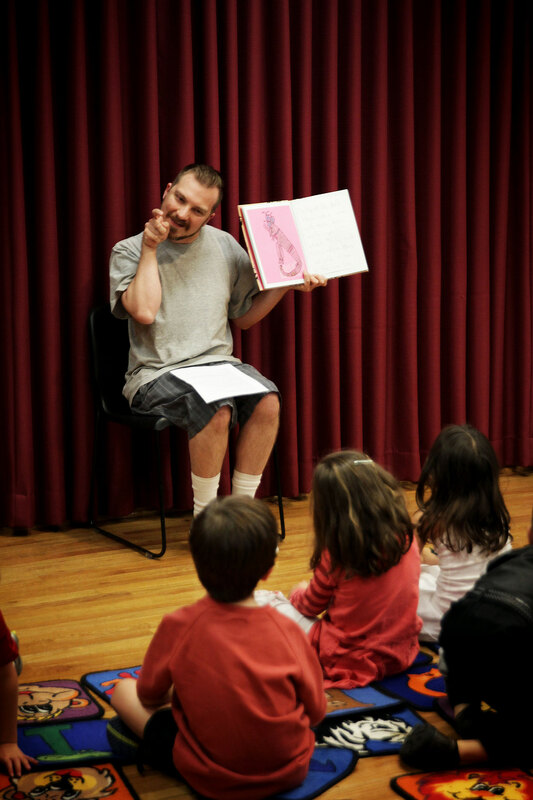 I like to teach young children about five-part stories in very simple terms. Each of the 5 parts should be one sentence. Have the child write each sentence on a separate page. Then they can expand on each idea over several sentences, ultimately turning each part of the story into a short chapter for their book. The initial 5 sentences serve as an outline; with these sentences in place, the child will always know where they are going with their story – and they will always have a satisfying beginning and end, with something exciting in the middle! Children love to draw. Make sure they get plenty of opportunity to create illustrations for their book. They can be made on colorful paper and taped into the book at a later date. Some days this might be all they feel like doing; that’s okay. Whatever topic your child chooses, and no matter how much they love it, they’ll occasionally get stuck. Maybe they’re bored. Maybe they have writer’s block. Help the story flow again by doing research with them, at home or at the library. Ava has several books on ancient Egypt so we looked through them to learn about possible things the cat and beetle could encounter. The books also inspired her drawings. That’s where we learned about goddess Hapy, a real figure in ancient Egypt, and what she looked like. 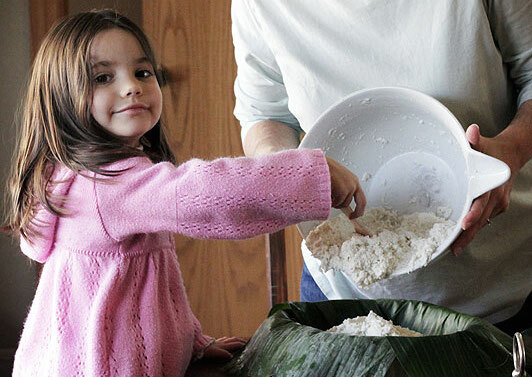 It’s also where she got the idea to add basboosa cake to the story, a recipe traditionally enjoyed throughout the Middle East, including Egypt. 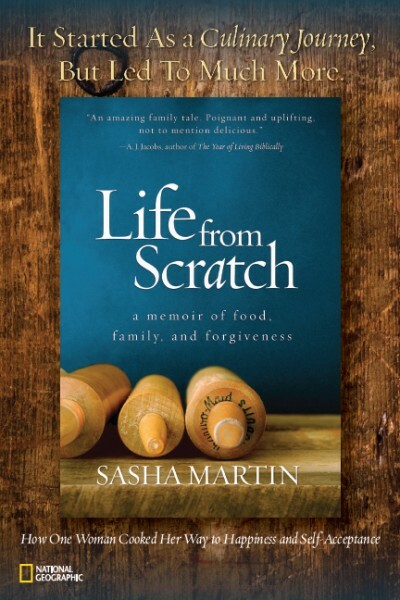 (As you can see below, I helped put a copy of the recipe in the back of the book … along with info about the real cat behind her story. 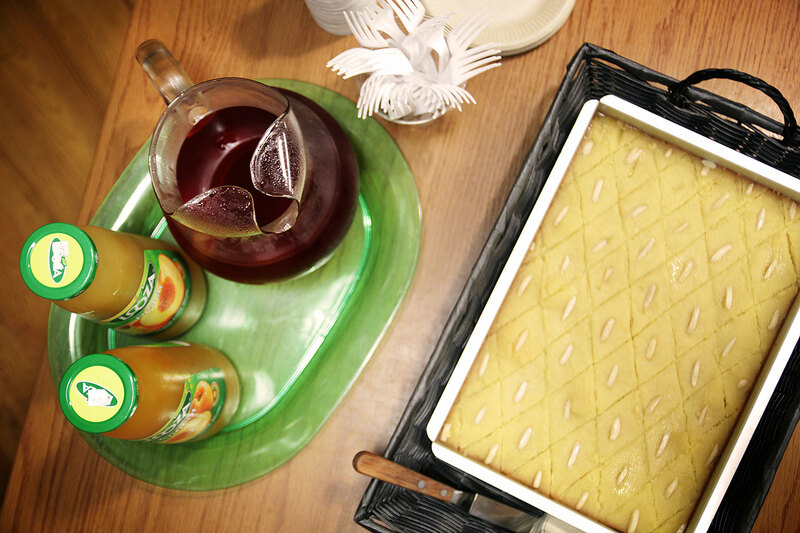 We served the cake at her signing, along with traditional juices and hibiscus tea). Children don’t need to try and complete a big project like this in one sitting. Ava’s book took all summer. Sometimes she worked for fifteen minutes, other times she worked for an hour and fifteen minutes. This should be fun, so don’t push your child too hard or they will resent the work and it may not get done. 6. Don’t worry about spelling. 7. Don’t worry about spelling. Seriously. If they want to learn a word or two, fine (Ava wanted to learn Egypt and pyramid). But otherwise, trust me. The sweet spelling will be 100% cute when you look back on it, years from now. And any fussing over this sort of detail totally disrupts the creative process. Remember, the simple act of forming letters is still a challenge to many primary students… let’s save proper spelling for later. 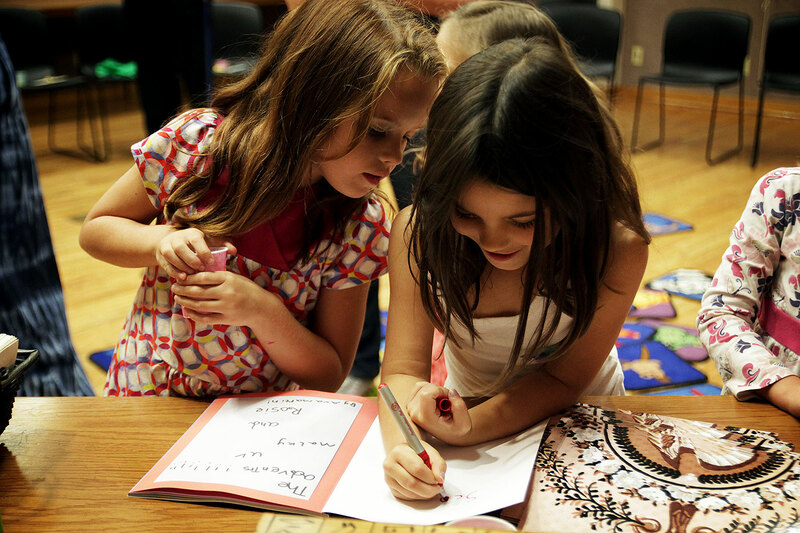 Celebrate your child’s success with a book signing party. 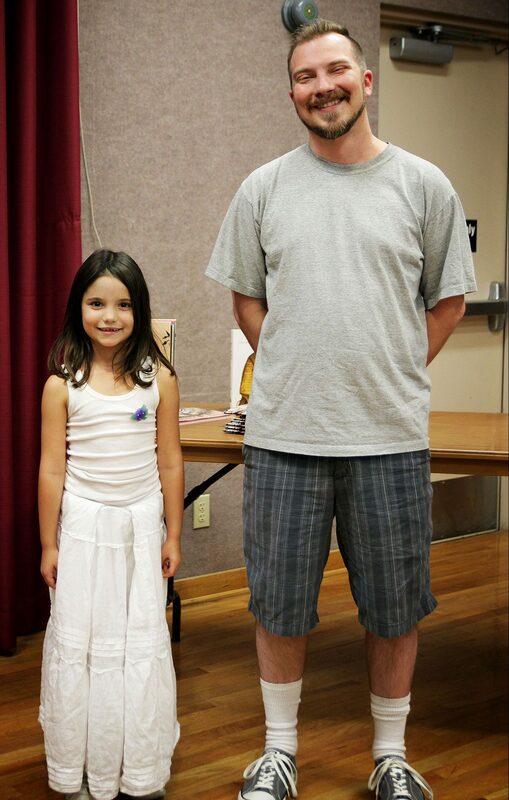 We were fortunate to have Mr. Paul, a local story teller at Hardesty Regional Library, read Ava’s story. She was BEAMING – not only to celebrate with her friends but to have her words come alive with Mr. Paul’s vivacious reading. 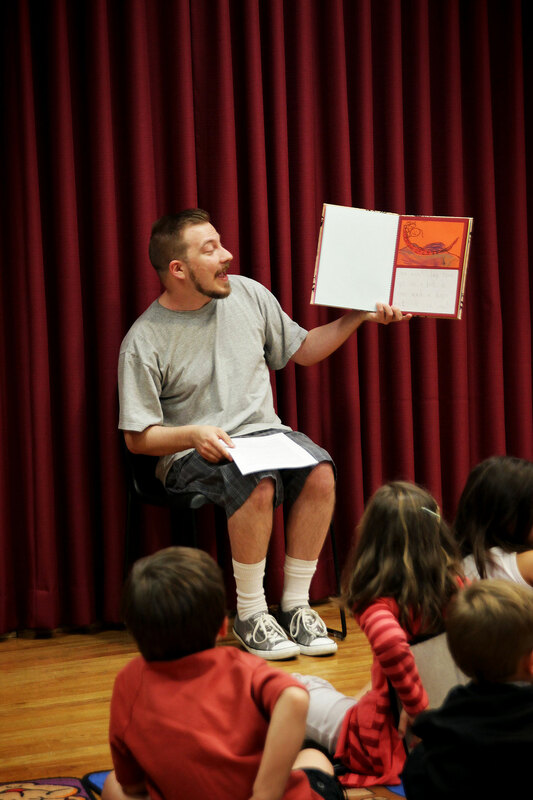 You know how kids think: Of course mom will love it, but seeing a story teller bring it to life? 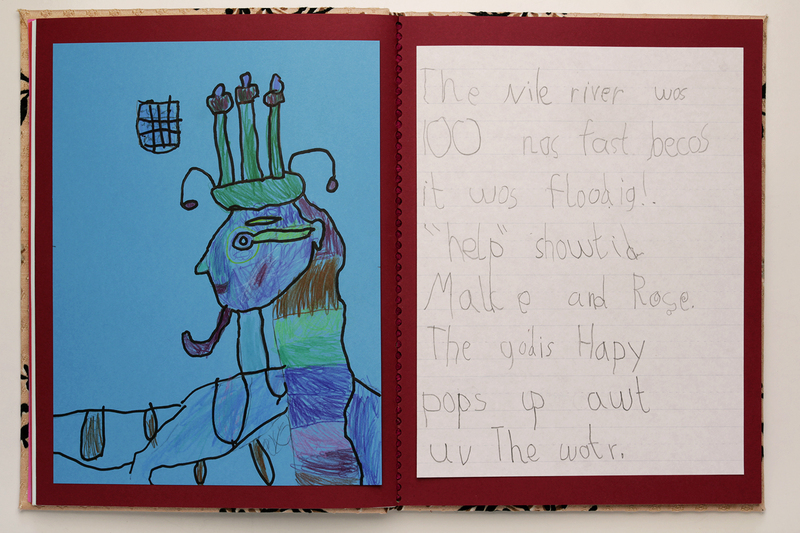 You can make photocopies of your child’s masterpiece, or you could go one step further and have bound books made. We opted for the latter, making real keepsakes. To do this, I took photos of each spread of Ava’s book and placed them in a free book layout on Blurb* Using the softcover magazine option, each printed book cost about $5. We got extra made for Christmas presents. *Note: This link gives me a small commission if you design and order a book from Blurb; new customers can use PHOTOMAY20 for 20% off their order this month. Sit back and enjoy the pride and accomplishment your young child feels after writing their own book. Good luck and have fun with the process! P.S. A few have asked and, yes, you can order a copy of The Adventures of Malky and Rosie by sweet Miss Ava Martin. The slight mark up will go towards Ava’s college fund. P.P.S. 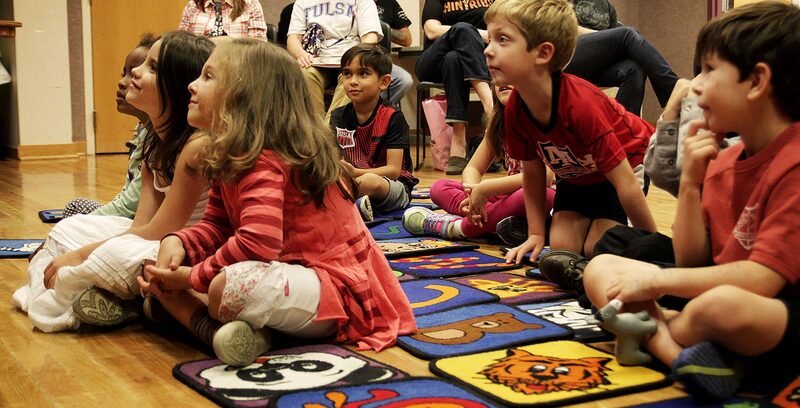 I am developing a creative writing club for young children living in Tulsa, OK. Please contact me if you’d like to learn as plans are finalized. Love this! Creative writing meant so much to me as a young child. I hope to be able to pass that on to my kiddos. Great article. And congrats to your little girl! Thank you! Children are natural story tellers and your interest will surely inspire them … best wishes to you all! 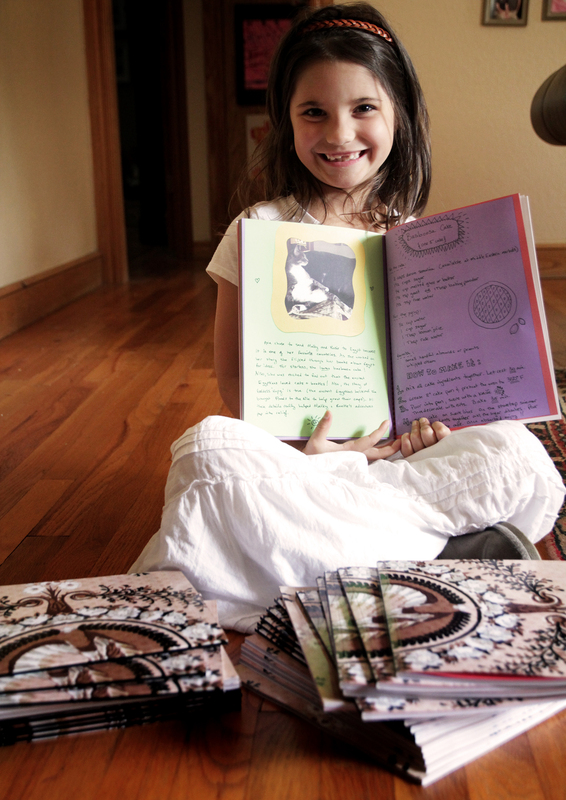 Hooray for your creative parenting and Ava’s sense of accomplishment on her book! Next PostDear Chris Kimball: Welcome to cooking the world!